At its regularly-scheduled open monthly meeting, the SIPOA Long Range Planning Committee met with two Comcast representatives. At the meeting it was reported that Seabrook Island Comcast subscribers now have the “same potential internet connectivity as any community they serve in the country”. The Comcast hybrid combination of fiber and coaxial cable coupled with new modem technology means Seabrook Island is now a “One Gigabit Community”. A Gigabit Per Second (Gbps) is 1000 Mbps. The average Seabrook Island Comcast subscriber currently pays for a basic level of 100 – 150 Mbps (megabits per second) connectivity. As many Seabrook property owners and potential homebuyers move toward additional web-based devices and implementing “smart home” technologies, the availability of this enhanced connectivity could be an important competitive factor in decisions to remain on or relocate to Seabrook Island. Of course, each Seabrook Island Comcast customer needs to realize that there are many factors that impact the actual speed achieved in anyone’s residence; including the capabilities of your devices, your modem, the number and type of devices used, etc. Another factor to consider is how much you are willing to pay Comcast each month for greater capacity or greater speed. 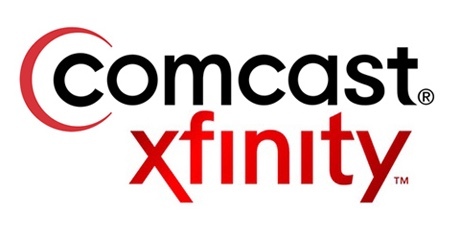 The Comcast representatives at the meeting were: James Bird (Community Account Manager for XFINITY Communities and Comcast Cable) and Michael Edwards (Technical Operations Manager Comcast Cable). Jim Bird is responsible for Charleston, Savannah and Augusta. One of his reports is Andy Gretton, the CAR (Community Account Representative, phone # 843-266-3217) for Seabrook Island. Mike Edwards has been at Charleston for a year running all technicians, including support, maintenance and service teams.